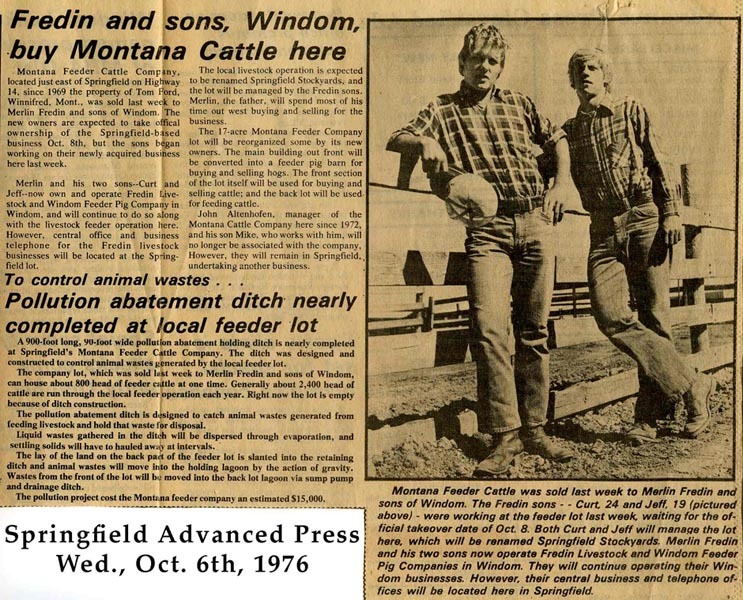 Fredin Brothers was founded in September of 1976 as Springfield Stockyards by Merlin Fredin and two of his sons, Curt and Jeff. 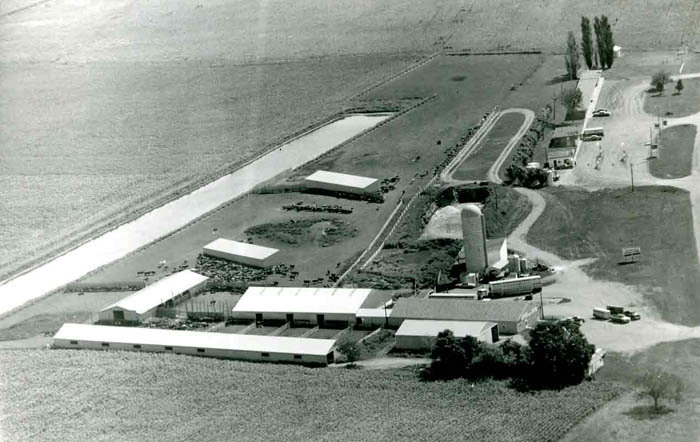 The purpose of the business was to buy feeder cattle and feeder pigs in the Springfield, MN area for immediate resale to cattle and hog operations in Minnesota and Iowa. Merlin did most of the cattle buying in the Dakotas and Montana. He also did some of the feeder pig buying. 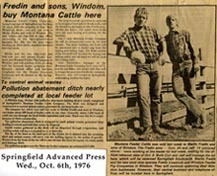 Curt and Jeff were in charge of the daily operation and the sale of all cattle and hogs at the Springfield location. Until the late 70's most of the business was done with farmers who fed 40 to 250 head of cattle or hogs. 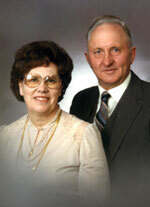 In March of 1988 Merlin Fredin, our father, passed away. This was a difficult time for the family and business but his legacy lives on. In the late 80's we decided to devote our full attention to the cattle industry. 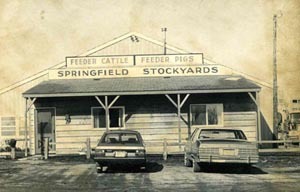 In December 1991, Curt and Jeff purchased Ann Fredin’s share of Springfield Stockyards and incorporated as Fredin Brothers, Inc. At about the same time, Curt and Jeff’s younger brother, Scott, also joined the family business. 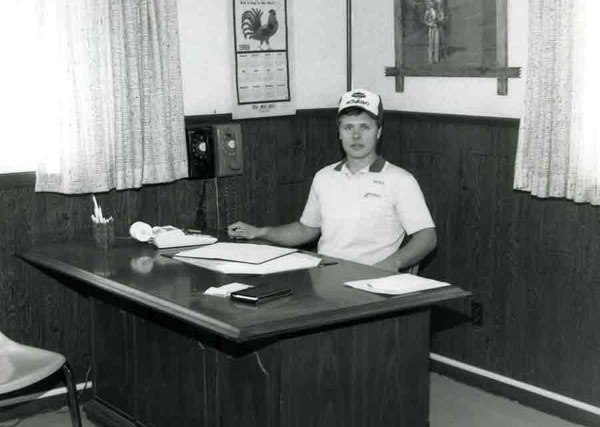 Quick to grasp the industry, Scott became an important piece of the foundation and the three brothers slowly grew the business to what it is now. Giving total commitment to the cattle business, our buying network has developed into covering most cattle producing states and Canada. 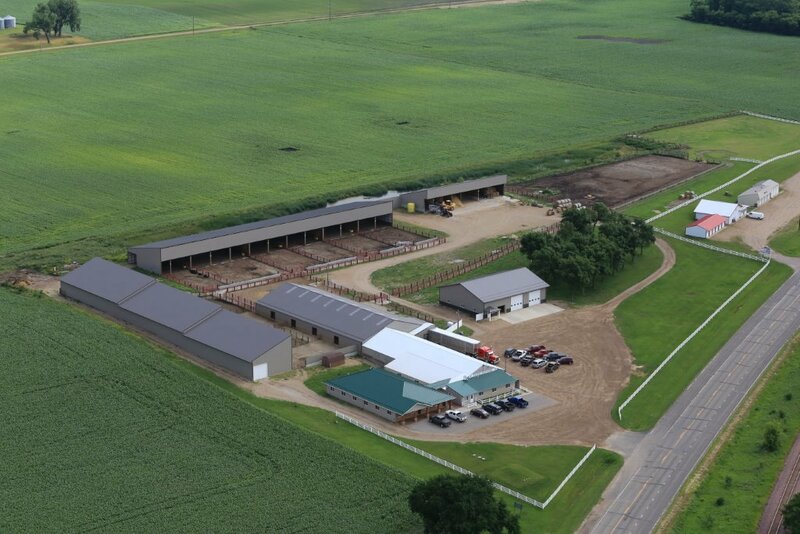 As a result our sales developed into brokering feeder cattle for many feedlots in Nebraska, Colorado and Kansas as well as the farmer trade that we continue to grow throughout the Midwest, with strong emphasis on Minnesota and Iowa.